There are few things in a room that make an impact as big and as instant as flooring. While there are many options on the market today, wooden floor boards have become a firm favourite for their easy-clean functionality, durability and classic good looks. There are alternatives to solid flooring boards, vinyl and laminate options can often provide a visual wood effect but they would struggle to match the long-lasting appeal of real wood flooring. 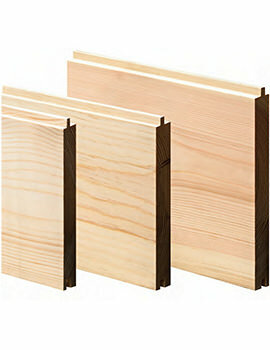 Here, at Buildworld, we offer a range of Floor Boards. Have a look at our range and pick the best one that suits your requirement. 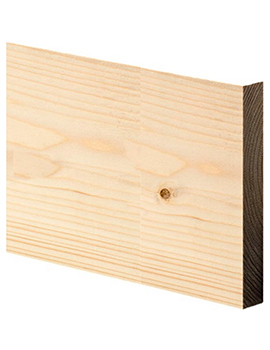 Softwood floor boards offer a natural beauty all of their own, in an impressive range of styles. Able to blend in to both modern and traditional rooms, the appearance can be tweaked to enhance the surrounding theme. It is purely down to personal preference whether the flooring bought is untreated or ready to lay down and leave, both certainly have their advantages, so time should be taken to consider your options before making a purchase. Untreated floor boards are rather like a blank canvas. While they will certainly take time to treat after laying, they offer a lot more versatility and can be matched and stained as desired. This kind of wood flooring will sometimes need additional treatments and knotty woods, would often benefit from a knot treatment before staining. Natural wood flooring boards would also often benefit from light sand and must be free of all debris before painting, staining or oiling. 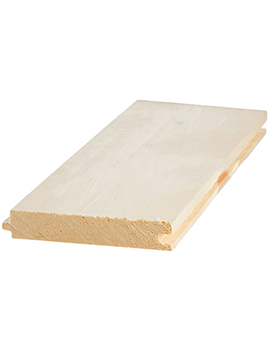 For a more instant effect, other kinds of softwood flooring boards can be purchased, already stained and treated. These vary from a natural effect which shows the grain off fully, to a much darker, modern stain, that offers a more uniformed look. Although extremely durable, softwood flooring is best used in more low-traffic areas, where it isn’t open to harsh daily use. Another benefit of softwood flooring is that the woods used, are a much more renewable source than a hardwood alternative. The trees are faster growing and easily replaced, leading to a faster, more efficient cycle of farming and harvesting. 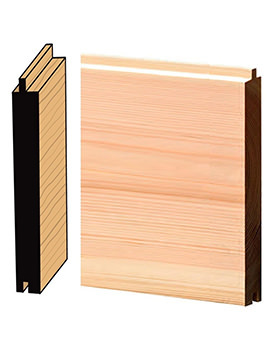 These also offer great value for money with popular woods such as pine, proving to be a much more cost-effective choice than something like oak. Whether you choose to stain your boards or leave them with a natural appearance, it is recommended that you apply a few coats of polyurethane treatment, protecting the flooring boards from moisture and ensuring it lasts for many years to come. This is best applied with a natural bristle brush and sanded after each coat has dried.